Victor’s experience ranges from patent litigation, unfair competition, contract disputes, fraud and tortious interference cases, to trade secret and non-compete litigation, real estate disputes, products liability and consumer fraud matters. He has resolved claims involving high net worth family and probate litigation, fiduciary litigation, qui tam cases and partnership and other business-entity litigation. In addition, he has defended clients accused of white collar crimes, such as wire fraud and mail fraud, securities fraud, Ponzi cases, money laundering, public corruption and healthcare fraud. Victor is often brought onboard on the eve of trial – in the final months or weeks leading up to trial – because of his deep trial experience. Moreover, Victor is a prolific author and invited lecturer/educator on trial issues. 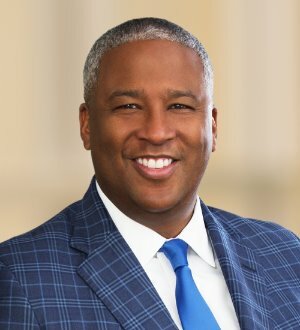 He also teaches trial practice techniques and provides commentary on major trials and cases in the media.Victor previously served as a partner in national and international law firms and has prosecuted cases in a prominent district attorney’s office. Notably, Victor was inducted into the Texas Lawyer Verdicts Hall of Fame for securing a No. 1 verdict -- the largest employment verdict in Texas in 2012 – for a corporate plaintiff in a complicated noncompete/trade secrets matter. In 2016, Victor secured the largest (No. 1) verdict in the fraud category in the Texas Lawyer Top Texas Verdicts & Settlements of 2016, with a jury verdict of nearly $34 million (including $16 million in punitive damages) in a partnership dispute involving claims of fraud and breach of fiduciary duty. This top 2016 jury verdict also made the National Law Journal Top 100 list.